Sometimes you will find a book that will utterly charm you. Sometimes, less often, you will read a sequel that is as charming as the original. Sometimes, even less often, you will want to read everything an author/illustrator has ever created. But rarely, you will love every page of every book. There are some authors/illustrators who have cast such magic spells: AA Milne, Beatrix Potter, JK Rowling. These are magicians who will be read generation after generation. Comparably, Oliver Jeffers has cast a spell that will captivate readers for generations. His books are enchanting. And I am bewitched. The very first thing I did when I discovered I was expecting BookBairn was head straight to the local bookshop and buy copies of The Very Hungry Caterpillar, Dear Zoo, Hairy Maclary, The Gruffalo and Oliver Jeffers's 'How to Catch a Star'. These were the books my BookBairn needed upon her arrival into the world. 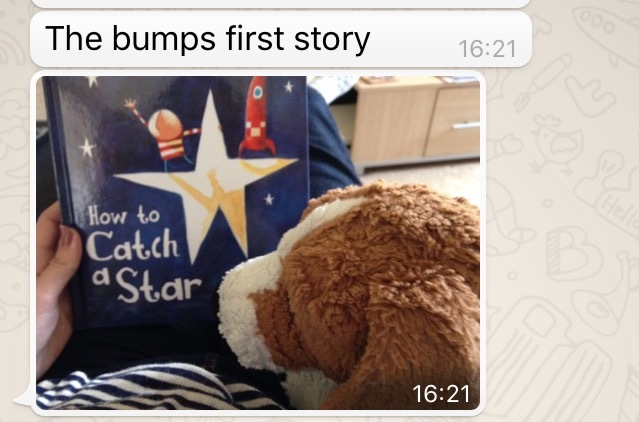 But How to Catch a Star was the one I read to my bump first. Here's the message I sent Daddy BookBairn. 'How to Catch a Star' is still my favourite (and Daddy BookBairn's too). It tells the story of a little boy who wishes for a star of his very own. He searches and searches, asks for advice, waits and waits and waits, and just when he almost gives up hope he spots a star floating in the water at the seaside. I love the imagery, which even a young child can grasp. 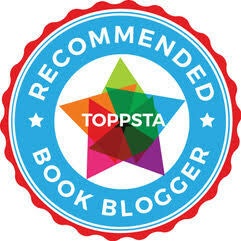 The story is full of amusing moments, childlike imagination and creativity. The illustrations are flawless with simple lines and bold colours creating a world that you can't help but want to step inside. 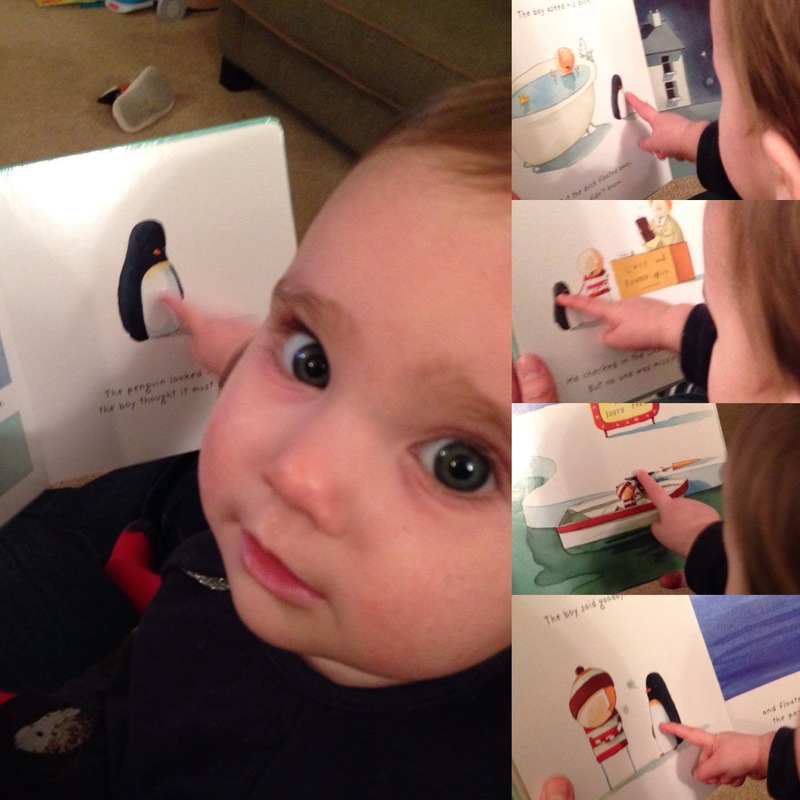 BookBairn loves this story too! However, I think BookBairn likes 'Lost and Found' best. It features the same little boy on an adventure to help a lost penguin who he finds on his doorstep. Again, he asks for advice everywhere he can think, he searches and searches for the solution to helping his lost penguin friend find his way home. Through sunshine and storms they drift to the South Pole in their little rowing boat and the boy waves goodbye to the penguin. In a heartbreaking moment, having left his friend behind, the boy realises that his penguin friend was not lost but merely lonely and looking for a friend. The story is a beautiful exploration of the theme of friendship. Again, the illustrations are a joy! I think BookBairn likes this book so much partly because she has recently become a big fan of penguins and she particularly enjoys playing 'spot the penguin' as we turn the pages. She's pretty good at it, as you can see! These are just two from a fantastic series of books featuring the boy and the penguin. We also adore the Hueys series featuring strange Humpty Dumpty-like creatures and particularly like their adventure with the new jumper which encourages us all to be ourselves, even if that means being a little bit different from everyone else. My classes have loved 'The Incredible Book Eating Boy' and 'The Day the Crayons Quit', which Jeffers illustrated and was written by Drew Daywalt. I am looking forward to reading them the sequel too! Both of the books were inspiration for great pieces of writing and provided weeks worth of interesting and engaging literacy work. I look forward to sharing these ones with BookBairn too when she grows old enough to sit still a little longer! (This crawling stuff is very clever but it makes snapping photographs a lot more difficult.) His books are more than just stories, with themes of friendship, courage, overcoming obstacles, being true to yourself, they are little pearls of wisdom subtly hidden inside a endearing story. If you haven't read anything by Oliver Jeffers you are truly missing out. Next time you're in a bookshop or the library, look him up. You'll be enchanted. "If you haven't read Oliver Jeffers yet: do it now." We are linking up with #SundayStars ; #readwithme on Mama Mummy Mum and #weekendbookclub with Mummy in Training. I anxiously await whatever he does next. And follow his instagram feed with enthusiasm! I love the "Your book needs you" photo. She's such a poser! But getting harder to photograph these days!